Salt Lake City acquires a new taste for adventure. Have a bite. This sure doesn’t feel like Salt Lake City. My kids had no idea what that meant when I said that as we were strolling the streets of Utah’s capital. They weren’t here decades ago when I saw the old Salt Lake City, a less vibrant and interesting place than the one they were experiencing. “How is it supposed to feel?” asked my 12-year-old son. I described a stopover for skiers on their way to Park City, where everything seemed to shut down at 5 p.m. (I’m exaggerating a little, but stay with me). When you asked, “Is there anything going on here?” people would shrug. Sure, at this time of year, Utah’s skiing is still a main attraction, but so are its museums, including a first-rate natural history museum and planetarium. And there are plenty of dining options — enough to fill your calendar for months. Let’s talk about skiing, though. You only need to take one look at the city after Thanksgiving to know that this is perfect for winter sports. It’s bracketed by the towering, snow-capped Oquirrh and Wasatch mountain ranges. But what you might not know is that the ski resorts are an easy day trip when you’re staying in Salt Lake. A short 35-minute drive from downtown, we found ourselves at the base of Snowbird after it received a generous dusting of powder snow. Although the resort wasn’t open for skiing yet, my kids and I hiked around the base and then made our way to the top of the mountain on its Aerial Tram. What a view. And what a frustrating view for these four skiers, who wanted nothing more than to plunge down one of the runs. There’s much more than skiing here. 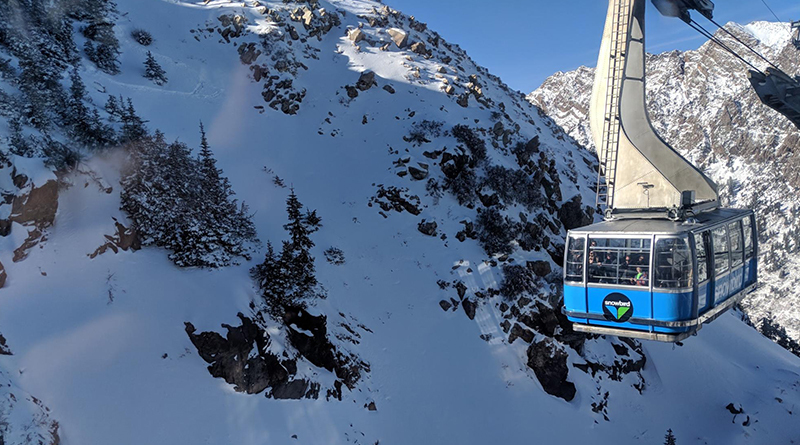 During the summer, the same cable car will lift you to the Hidden Peak Terminal at the top of the mountain, where you can hike on miles of paths and cool off from the summer heat. Utah has some of the best ski resorts in the world, all within striking distance. They include legendary Park City, Deer Valley and Cottonwood Canyon’s famous resorts, Alta and Solitude. Enough said. If you’re in Salt Lake with kids, there’s plenty to do off the mountain as well. We checked out the Natural History Museum of Utah, a vast collection of exhibits run by the University of Utah. As you climb the museum’s terraces, it takes you from prehistory, featuring terrifying dinosaurs, to the earliest human settlers and Utah’s first people. 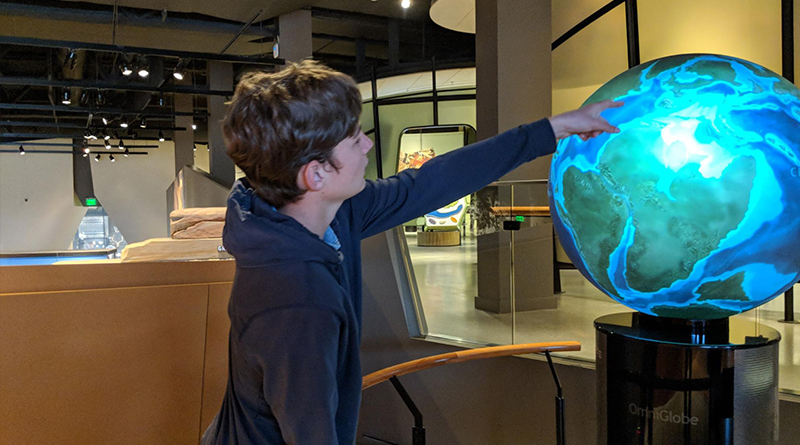 One of the most compelling parts, though, was a globe that showed the continental drift and the forming of modern-day earth over a period of billions of years. My oldest son and I were mesmerized by it. I want one of those for my living room. Also noteworthy: The Clark Planetarium in Salt Lake City, an institution dedicated to helping visitors discover and learn about space and science. It helped my kids understand how volatile and changing our planet is, with interactive exhibits of meteorites, volcanoes and tornadoes. Try avoiding being hypnotized by the enormous Foucault Pendulum exhibit that allows you visualize the earth’s rotation. Between the planetarium and the Natural History Museum, we came to understand how quickly the earth can shift, sometimes literally under your feet. The Clark is located near some of the best restaurants in town. Who knew Salt Lake City had such a food scene? Our favorite place for lunch was Caputo’s Market & Deli, just a short walk from the planetarium, which features a vast selection of chocolate, cheese and fresh bread. 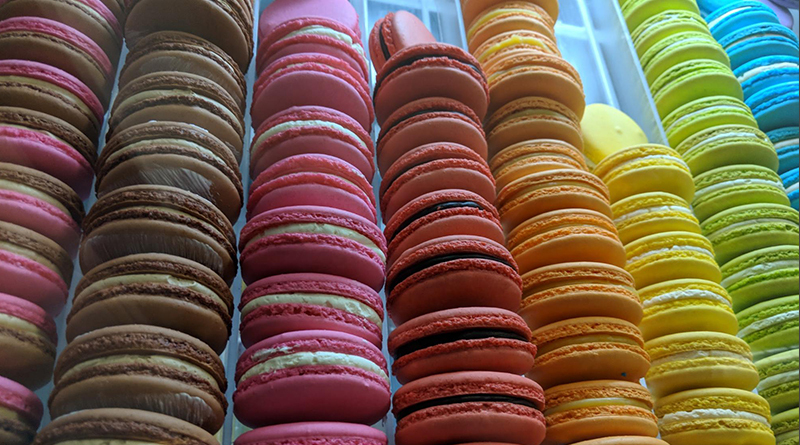 Although our favorite baguettes had to come from nearby Fillings and Emulsions, known also for its incredible cheese cakes and colorful cookies. We kind of ate our way through town, stopping at HSL to enjoy its famous barbecue sandwich, which is delicious, and venturing out to Mazza Cafe for Middle Eastern cuisine. Their falafels are some of the best I’ve had in North America. An honorable mention goes to Harmon’s, the Utah grocery store chain that made every meal we cooked in our Airbnb rental great. It’s one of the best grocery stores I’ve ever shopped at, and I’ve shopped at many of them. Even though Salt Lake City has a more cosmopolitan vibe than ever, it’s still true to its squeaky clean Mormon heritage. And I mean that in a good way. This is one of the friendliest, if not the friendliest, state capitals we’ve ever visited. The people we met along the way made us feel safe and welcome. We’ll always hear the call of a mountain trail or ski slope when we’re in Utah. But it’s also nice to know that we have a home in Salt Lake City.